2015 is taking the shape of an incredible jam tour ! 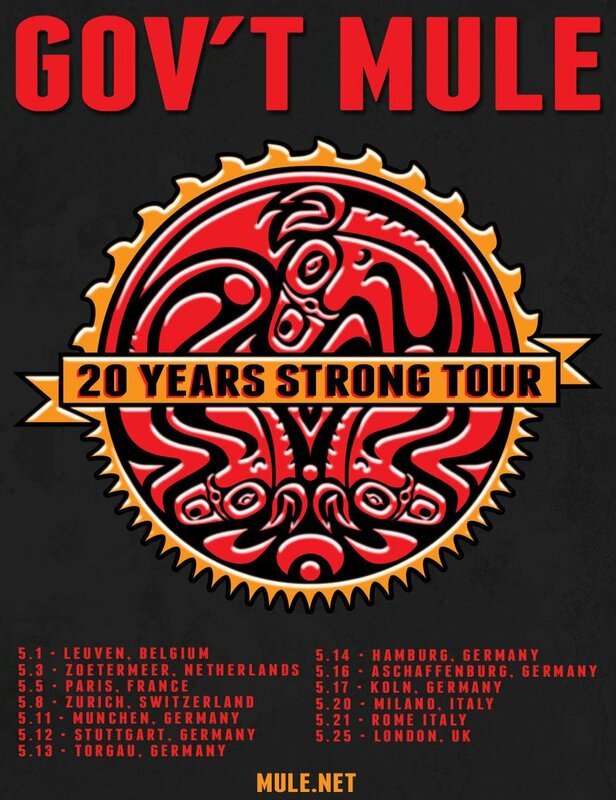 After the 20 DMB euro tour dates announced this week, this time is Gov't Mule's turn to launch a set of Euro shows in support of their 20th Anniversary Tour, started last year in the US. Meanwhile, Gov't Mule will hit the road again for a 19-date Sco-Mule shows in February and March. This will mark the return of the epic Sco-Mule collaboration with jazz maestro John Scofield, and will support Gov't Mule latest release : "Sco-Mule", out a few weeks ago now. Sco-Mule album is the true testimony of the band's two legendary Georgia shows back in 1999.
both Beacon NYE 2014 sbd shows : here. Thank you. I like Gov't Mule a lot. Never saw them live and this year it will stay the same. They are at the wrong places at the wrong time .